It was 40 years ago this week that Steven Spurrier, a British wine merchant living in Paris, held a wine tasting event, the results of which shocked the wine world. Spurrier gathered nine expert judges, all of them French, for a head-to-head blind tasting of the best of Bordeaux and Burgundy against relatively unknown wines from California. Spurrier and an associate, American Patricia Gallagher also participated in tasting and judging the wines. At the time, the commonly held belief was that French wines were the standard of quality, and anything else was inferior. The tasting was originally intended to simply generate publicity for Spurrier’s wine shop and school. Therefore, there was not a lot of outside interest in it, and only one journalist attended the event; George M. Taber, from Time Magazine (Taber, 2005). 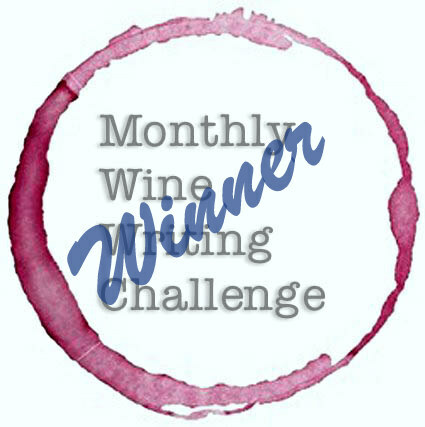 There were two separate competitions: White Burgundy vs. California Chardonnay, and Red Bordeaux vs. California Cabernet Sauvignon. In each category, there were four French wines, and six from California. The outcome is now well known – a California wine won top honors in both categories. The event changed the landscape of the Napa Valley, figuratively and literally. Taber later compiled the experience in his book: Judgment of Paris: California vs. France and the Historic 1976 Tasting that Revolutionized Wine (Taber, 2005). It is a fascinating and educational account, not only of the tasting event, but also of the history of wine in France and the Napa region. The tasting was also dramatized in the movie Bottle Shock in 2008. It’s worth seeing if you haven’t, but keep in mind this is a motion picture dramatization, complete with editorial and creative license. If you want to really explore and learn about the history, I recommend reading the book! Among my more cockamamie ideas, it occurred to me that it might be fun to taste each of the wines featured in the Judgment of Paris. Of course, I’ll have to purchase current vintages, but so be it. Many of the châteaux and wineries represented in the competition continue to produce stellar wines, and their prices and scarcity reflect the prestige. Others have remained more affordable and are readily available. In 2004, Chalone Vineyards was purchased by global conglomerate Diageo, which took the brand in the direction of mass-produced table wine; neglecting its historic importance. Fortunately, earlier this year the winery was purchased from Diageo by Foley Family Wines. Spokesman Bill Foley says that Foley Family Wines will work to restore the estate’s reputation and highlight its place in history (Worobiec, 2016). As much as I’d like to, I won’t be able to recreate the blind tasting, but instead will have to purchase and sample the wines individually over several months. This may prove to be an insurmountable challenge, simply due to the availability (or lack thereof) and cost of some of the famous French wines. Nevertheless, other than those that are clearly out of my range (Château Moutin-Rothschild, for as much as $1,100 for recent vintages, comes to mind) I am determined to seek out and taste them all! Watch for reviews coming soon! Taber, G. M. (2005). Judgment of Paris: California vs. France and the Historic 1976 Paris Tasting that Revolutionized Wine. New York: Scribner. What a great idea!! Since there are so many factors that go into a bottle of wine, the new vintages may yield an entirely different outcome! Will France redeem themselves by usurping the New World upstarts? Staying tuned to find out! Thanks! The tension mounts!! Another variable is that I’ll be pairing each wine with meals, which the original judges did not do. It’ll be interesting to see which ones I like best! Look forward to your reviews! This is my kind of challenge! Looking forward to your results, Kent! Thanks, Carol Lynn! Slow and steady…this will take a while!